Optilexia: Guessing words instead of reading them. What causes it and what can you do? This is the big one, especially for the brightest children. Most of the children we help are trying to read whole words by sight, rather than decoding them. That leads to lots of errors with short, easy words, because they tend to be very interchangeable. We see it so often we have coined the term optilexia as shorthand for mainly-reading-whole-words-by-sight. What is the solution to Optilexia? The solution to this is to give the child the tools to engage with the phonic structure of each word and then force the engagement of the auditory cortex. Easyread has been developed as a solution for exactly this situation and I don’t know of anything that comes close to the same effectiveness we have achieved with Easyread. 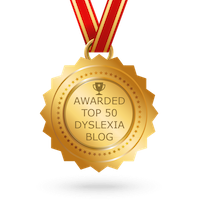 So I will give examples from Easyread as to how Optilexia can be solved for the child. First, we take the visual strength of the child and use it to help guide the child towards proper phonic decoding of the text, using our trainertext visual phonics system. This allows the child to access the phonemes within each word and then blend them successfully, without needing outside help. Second, we create games that can be easily won if the words are decoded in this way, but are impossible if the child tries to use the familiar strategies of sight-memorization and guessing. As they practise the new approach day by day, it slowly becomes more natural to them. Like any skill, it takes regular practice to see the change and seems harder when you first change technique. But eventually the new approach leads to far higher confidence, reading accuracy, and reading speed. Because the child is now engaged with the internal structure of the text, we usually see a marked improvement in spelling, although seeing this change will lag behind the reading proficiency.